General architecture of the Aist-2D satellite. As early as 2010, TSKB Progress had already planned a continuation of the original Aist project with follow-on satellites -- Aist-2 and Aist-3, which would be based on a new standard platform. At the time, the official goal of the program had already expanded from custom-built small experimental satellites to an effort to develop a whole constellation of remote-sensing satellites. The Aist-2 was expected to carry a radar with a "TV-mode" transmission, apparently implying a live transmission of imagery, when in view of a ground control station. The radar would have a resolution of between three and five meters, a swath 25 by 20 kilometers and a ground-penetrating capability of up to 10 meters. According to available descriptions, the radar would produce images using passive reception of radio signals from ground-based or space-based sources, or using a reflected signal emitted by another satellite. In the meantime, the follow-on Aist-3 satellite would be used for rehearsing in-orbit inspection capabilities with the use of electric engines, miniature video cameras and robotic docking systems. Developers also intended to protect the spacecraft from "all types of ionized radiation" with the use of new nano materials. 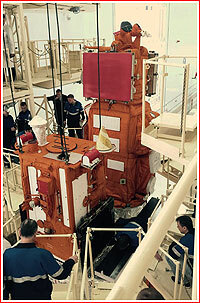 Both spacecraft were expected to remain within a mass range from 30 to 60 kilograms. Originally proposed follow-on version of Aist satelite known as Aist-2 and Aist-3. On April 9, 2010, the Russian government's decree No. 218 allocated funding for the new small-size remote-sensing satellite system and a compact multi-spectral camera to go with it. 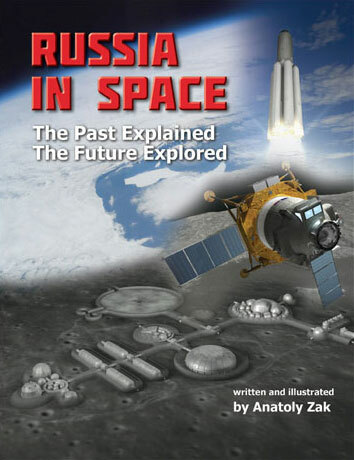 By the end of 2012, a joint bid for that project from TsSKB Progress and Samara State Aerospace University, SGAU, was declared a winner in a federal tender. The active development of the satellite started at the beginning of 2013 and continued during 2014. The winning proposal from TsSKB Progress was based on a much larger platform than the original Aist. It seems likely that the new design derived from the Serval concept of a multi-purpose remote-sensing satellite, which TsSKB Progress studied at the time. 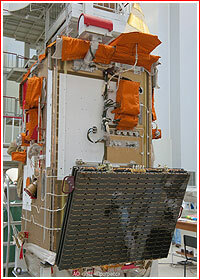 The new version of the satellite became known as Aist-2D. The full mass of the satellite was expected to range from 400 to 430 kilogram, including the 250-kilogram basic platform with all service systems. On Jan. 22, 2014, TsSKB Progress announced that the company's Scientific and Technical Council had reviewed a preliminary design of the Aist-2D satellite, which would be developed by 2015. 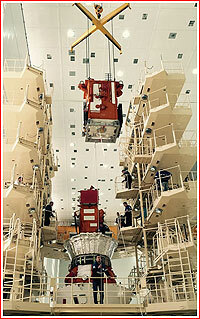 The satellite was intended to test a new spacecraft bus, which could serve as a platform for future projects. At the time, its mass was estimated at 380 kilograms. 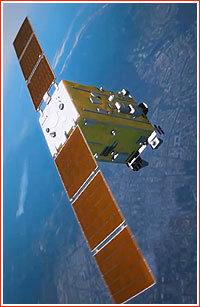 Within the Aist-2D project, Samara State Aerospace University, SGAU, and Samara State University, SamGU, took responsibility for the statellite's payloads. 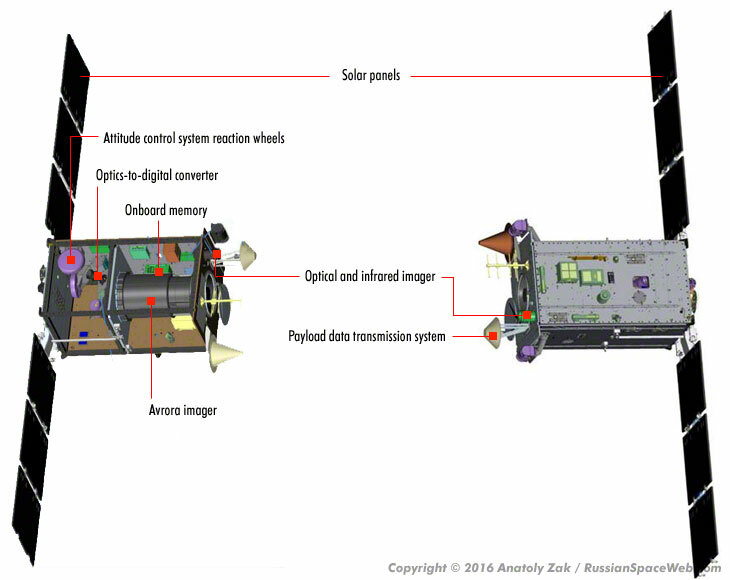 The onboard camera dubbed Aurora was developed at Krasnogorsk Mechanical Plant, OAO KMZ, a traditional supplier of imaging hardware for civilian remote-sensing and military reconaissance satellites built by TsSKB Progress. In addition, the Volga Telecommunications and Informatics University, PGUTI, was working on a P-band ground-penetrating radar for Aist-2D. According to official reports, the instrument would enable the satellite to "see" below the foliage and penetrate soil. The UHF radar with a projected resolution between three and five meters would be able to produce daily images within a radius of 20 kilometers around a fixed ground station, Russian sources said. The experiment was intended to pave the way to a higher resolution radar, which would be independent from ground hardware. According to RIA Novosti, the radar could be used for high-accuracy agricultural observations, to build elevation maps, conduct tomography of the Earth's ionosphere and monitor changes of the surface with a resolution of just few centimeters in the "interests of various agencies." The penetrating depth of the P-band radar was expected to exceed the existing operational systems, but it would vary depending on the humidity and the structure of soil from several centimeters in regular soil to a few dozen meters in dry desert, an engineer at PGUTI Oleg Goryachkin was quoted as saying. 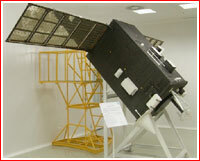 According to Goryahckin, the P-band radar onboard Aist-2D had no equivalents in the world. 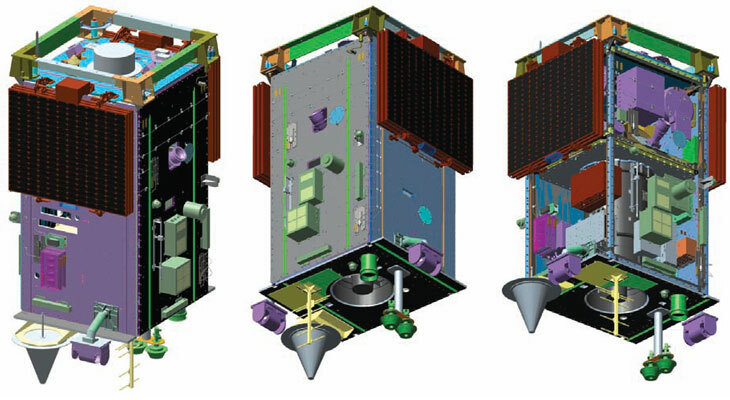 Key components of the Aist-2D satellite. The Avrora (Aurora) optical electronic imager was described as a wide-angle miniaturized camera, which could be used on future remote-sensing satellites. The 65-kilogram system capable of producing pan-chromatic and multi-spectral images was developed at OAO Krasnogorsk Mechanical Planet, OAO KMZ, under a contract from the Ministry of Education and Science. 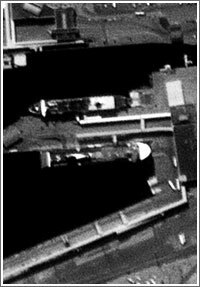 Panchromatic images were promised to reach a resolution of 1.54 meters and multispectral images would descern details as small as 4.6 meters. 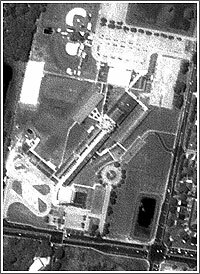 From a 510-kilometer orbit, the Avrora camera had a swath of 41.3 by 48.9 kilometers. General Director of the Shvabe Holding, the parent company of OAO KMZ, told the official Russian media that the Avrora imager would be from 1.5 to two times more powerful than any foreign system in its class and it would rely on components built in Russia. The Aist-2D was also reported to carry innovative infrared sensors, which do not require cooling system. They would be used to obtain night-time imagery and detect sources of small wild fires. Their resolution was reported at 127 meters. The first photo from the Aurora instrument was released on May 24, 2016. 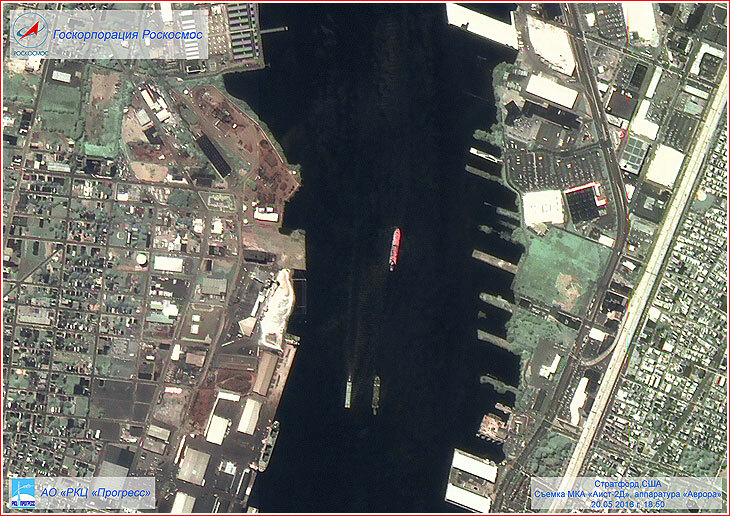 On May 24, 2016, Roskosmos released the first series of images obtained by the Aist-2D satellite following its successful launch on April 28, 2016. 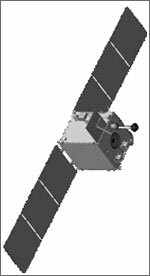 According to Roskosmos, by that time, the satellite's Avrora sensors covered nearly 300,000 square kilometers of Earth's surface. Another dramatic image from Aist 2D was released on Oct. 3, 2016. 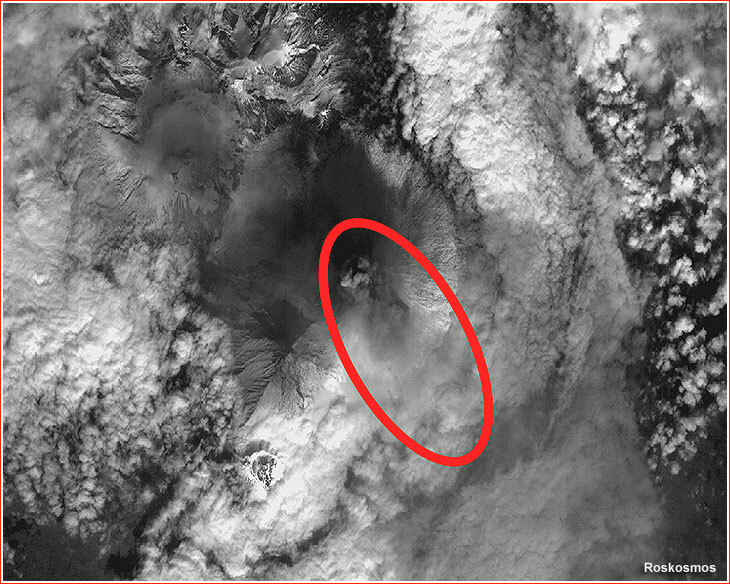 According to Roskosmos, a photograph taken by the satellite in September 2016, captured an eruption of the Klyuchevskaya Sopka volcano on the Kamchatka Peninsula. At the time, the satellite was still undergoing its flight testing, but all its systems were performing well, Roskosmos said. In particular, the Aurora imager photographed 3.5 million square kilometers of the Earth's surface, including 1.6 million square kilometers of the Russian territory, according to Roskosmos. In total, Aist-2D was to carry eight experiments, six of which were developed at SGAU and designed to test influence of space environment on various electronic components, study degradation of various elements of the spacecraft, including 13 types of electricity producing solar cells. A special sensor would be used to record the condition of nano-materials and thermal-protecting layers. The particle sensor, or DCh-01, was reported to be sensitive not only to meteor strikes but also to flows of photon particles and to ultraviolet light. The KMU-1 micro-acceleration dumper developed at SGAU was to use a system of electric magnets to control the orientation of the satellite. The Meteor-M payload on the Aist-2D satellite was designed register micro-meteoroids and space junk, RIA Novosti reported in February 2016. 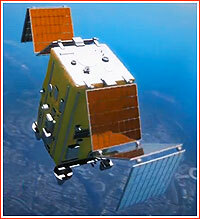 The mass-spectral sensor DMS-01 was reportedly designed for the analysis of the immediate envronment around the satellite.